Brazilian president making "good clinical and post-operative progress" following third operation since being stabbed on campaign trail. 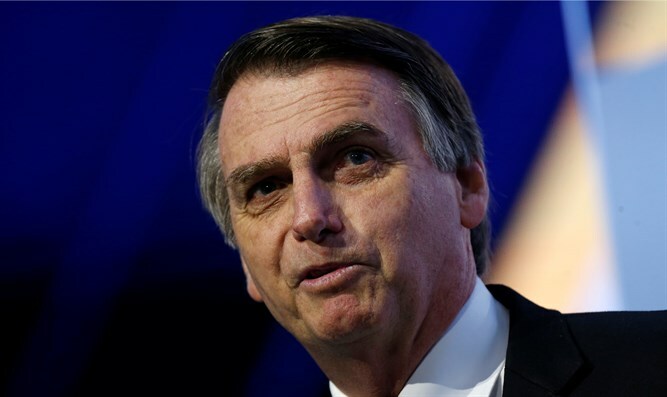 Brazilian President Jair Bolsonaro has beaten fever caused by pneumonia after his abdominal surgery two weeks ago, his hospital said Saturday. The president, 63, "has no fever and has made good clinical and post-operative progress," Albert Einstein Jewish Hospital in Sao Paulo said in its daily update. "His lung trouble has improved, and his lab test results show encouraging signs." Since January 28, Bolsonaro has been in semi-intensive care in Sao Paulo following abdominal surgery, his third operation since a man attacked him with a knife on the campaign trail. "I truly want to say thanks for the prayers of the majority of Brazilians," he said on Twitter. "If it had not been for them, and for the skill of the experts who have helped me, in three surgeries over five months, I would not be alive." Though he had hoped to leave hospital Wednesday, fever and other issues caused a delay. However, he is now able to eat soft foods again, in addition to liquids.